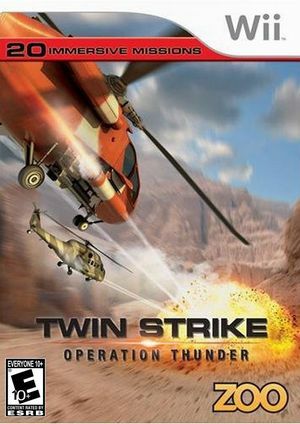 Twin Strike: Operation Thunder is a fast-action arcade style aerial combat game that pits you against a variety of adversaries all intent on blowing you out of the skies. Suit up and choose between six Helicopters, all fully loaded and ready to engage the enemy in the air while avoiding attacks from infantry and artillery on the ground. The graph below charts the compatibility with Twin Strike: Operation Thunder since Dolphin's 2.0 release, listing revisions only where a compatibility change occurred.